Known for its uplifting and mood-lightening attributes, Clary Sage is a biennial or perennial herb that grows up to six feet in height. 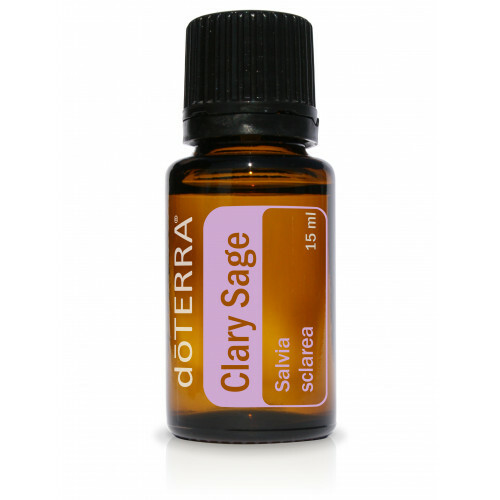 Clary Sage is known for its ability to ease monthly menstrual cycles and help balance hormones. The main chemical component of Clary Sage is linalyl acetate, part of the esters group, making it one of the most relaxing, soothing, and balancing essential oils. In the Middle Ages, the Clary Sage plant was nicknamed “clear eyes” for its positive effects on the eyes, and it was frequently used for female discomfort, as a throat gargle, and for soothing minor skin irritations. Inhaling Clary Sage can soothe nervous tension, lighten mood, and create a sense of euphoria.